In the present era, there is hardly a business without a mobile app. Whether it is a small business or an enterprise, everyone requires a right application. Surely, they need to hire app developers to accomplish this task. 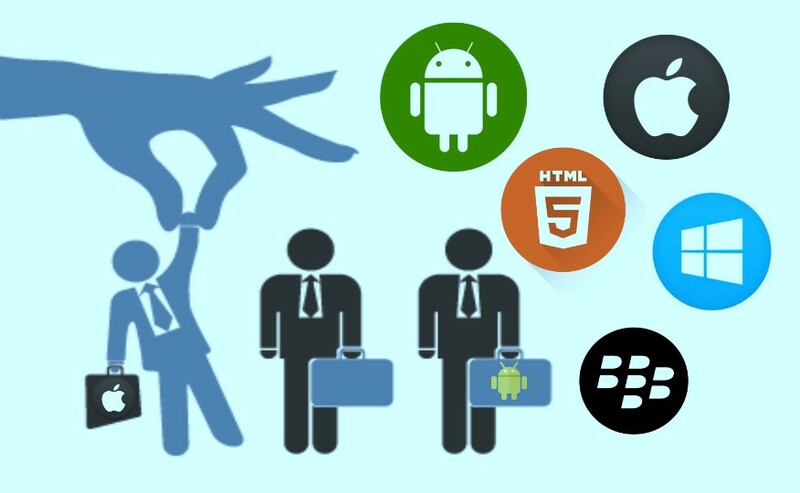 But, the real question props up in their mind is how to hire mobile app developer? Make sure you conduct your search without any hassle. Look for different cities, states and countries wherever you can hire the best Android or iOS developer. Sometimes, you feel hesitant to contact offshore mobile app developers as they are not in the same network. But, you should try to contact the clients who hired them earlier. Thus, follow the proper process of researching, preparing list, scrutinizing and finalizing. It is good to focus on the qualifications, but do not forget to ask their total experience in the industry. Check whether they own a proven record of offering wonderful apps within given time frame. How long they have been building the mobile applications? What is the process of their mobile app development? Get a blueprint from them. Download their developed apps and try using them to explore their features and functions. Remember a good developer does not have mere priority of app development. In addition, he should be passionate to explore more innovation for your business. He must have knowledge of different platforms including Hybrid, Android, Windows, iOS, etc. In addition, he should have knowledge of device type such as tab, iPad, Tablet, etc. There is a quote saying that “quality is not expensive, it is priceless”. You must remember this while hiring a mobile app developer. If you save money once with a low budget app, then you will be spending it everyday in order to be a part of the competition. Thus, do not let cost affect your decision. Usually, we get feedback of our family and friends for different things. Like for a shopping outlet, a food court, a movie theatre and anything that we are going to try first time. In the same way, we should try to get feedback of previous clients of a particular mobile app developer or a company. You can check the reviews on website, Google, Facebook, etc. Check whether they worked on similar kind of applications in the past as well. Try to evaluate their performance using different mediums. Explore the samples that are similar to your requirements and contain a description, problems they faced and what measures they adopted to resolve them. Asking about the present app will be outdated. So, modify your queries like; present app UI, API integration, existing website, and learn about their homework. Their best two mobile apps should not be in your list. You can ask it in different manner like; share your favorite projects. What are your most recent work samples? And, do you have some projects in list like mine? You should listen to their challenges and problems they faced during app development. The interesting part is how did they overcome those intricacies? It is time to know about their adherence to the timeline. So, go with the questions that how quickly do you implement an app or how much time did it take to accomplish your previous project? Apart from this, how did they work on the received feedback. This is a crucial phase for each business owner. Yes, they designed a great app, tested it, but it is time to take a final move. They are supposed to submit the completed app to the application store. It is the app store which will provide approval to sell the app over there. Your app developer must not submit the app blindly. He should review the store guidelines and human interface before final submission. It is a lengthy process that only an efficient mobile app developer can handle. Thus, make sure you hire a developer who owns previous experience to upload the app to the store. Hence, you must have got to know that finding and hiring a mobile app developer is a process of patience. So, do not make hurry and take a decision after analyzing each important factor. Conduct good research, check the authenticity and give consent to hiring once you are assured. Strike a balance between cost and quality, but do not settle for low quality just for the sake of saving few bucks. Still have some questions in mind, Sparx IT Solutions have answers for each of them. NEXT PostHow To Choose Best Cross-platform Mobile App Development Tools?